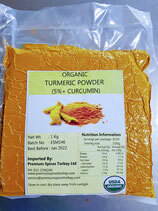 Turmeric is widely used as a spice in South Asian and Middle Eastern cooking. 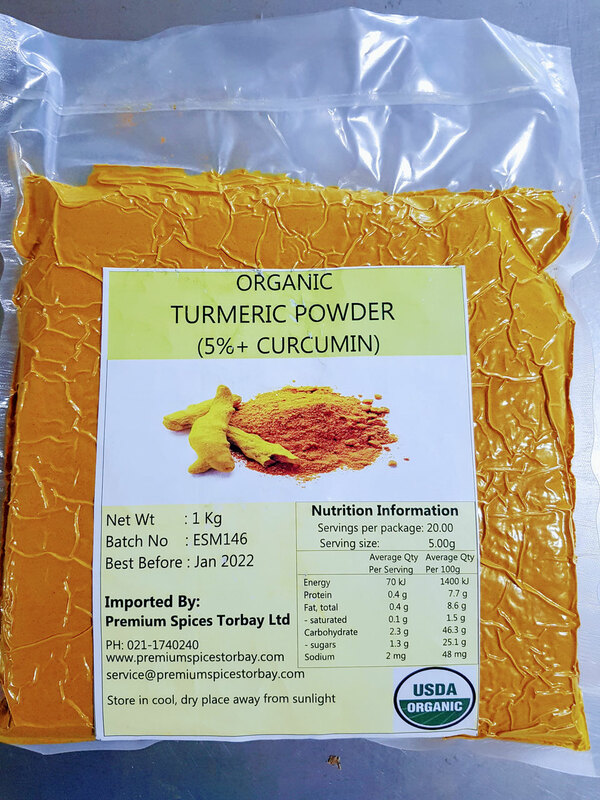 In Nepal, turmeric is widely grown and is extensively used in almost every vegetable and meat dish in the country for its colour, as well as for its medicinal value. In South Africa, turmeric is traditionally used to give boiled white rice a golden colour. Turmeric is currently being investigated for possible benefits in Alzheimer's disease, cancer,arthritis, and other clinical disorders. As an example of preliminary laboratory research, turmeric ameliorated the severity of pancreatitis-associated lung injury in mice. In the latter half of the 20th century, curcumin was identified as responsible for most of the biological effects of turmeric. Often used as supplements for joins treatment by animals and humans. It is available by 100g, 500g , 1kg, 5kg bag. For bigger quantities please contact us. For centuries, Chinese and East Indians have used turmeric as an antiseptic and a remedy for stomach and liver ailments. Now science is catching up with the ancient wisdom. Researchers are studying the curative properties of turmeric in a controlled scientific setting. What is it about turmeric? Scientists are narrowing in on a polyphenol in turmeric called curcumin. They’re looking at curcumin’s beneficial effects on such heavy-duty diseases as Alzheimer’s, cancer, depression, and arthritis. So far they’re seeing benefits in animal studies. The effects on humans, though encouraging, are yet to be confirmed. But scientists are on the case.